Deprivation Chamber - Urban Decay EP - BFW Recordings netlabel - Music is free! ambient, shoegaze, indie, experimental, electronica - independent netlabel sharing music with you for free! 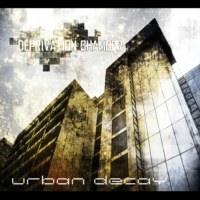 The first release on BFW from Deprivation Chamber is a collection of experimental soundscapes. The name is quite apt - there is a dark, menacing quality to these recordings.